In his book, Celebrating the Christ, Pastor Lance Sparks has brought together reminders of God’s love for us in fourteen written messages taken from sermons he preached during Easter and Christmas seasons. While each message stands on its own, they build on each other to give believers a rich desire to fully Celebrate the Christ. 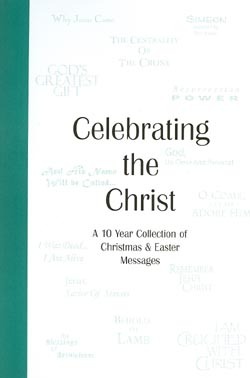 It has been said that “The object of preaching is constantly to remind mankind of what mankind is constantly forgetting.” In his book, Celebrating the Christ, Pastor Lance Sparks has brought together reminders of God’s love for us in fourteen written messages taken from sermons he preached during Easter and Christmas seasons. While each message stands on its own, they build on each other to give believers a rich desire to fully Celebrate the Christ.